It has been a crazy spring. But I am finally starting to see the light at the end of the tunnel, and may even get back to blogging soon! I have been in crunch mode for quite awhile getting the work done for this show, and it has finally paid off. 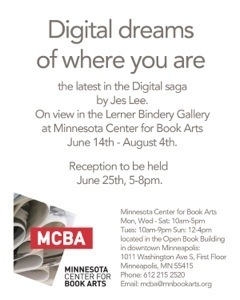 My work is now on display at Minnesota Center for Book Arts in the Lerner Bindery Gallery through August 4th. My reception will be Tuesday, June 25th from 5-8pm. Please stop by if you can! Much of this work has taken me in a new direction artistically and I would love feedback! 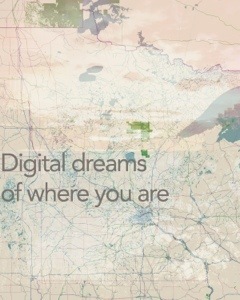 For my long distance friends, I promise to post photos of the exhibit and work soon. I know this post is quite short, but I will be back soon!